In Malta, great importance is placed on fecundity. The Maltese consider children so important that their fairy tales don’t end with “and they lived happily ever after“. Instead the Maltese say “u għammru u tgħammru, u spiċċat“. It means “and they lived together, and they had children together, and the tale is finished”. * I love it. By Maltese standards, I’m Cinde-freakin-rella – rescued from my coal-dust covered career by an Irrigator in shining gal pipe. We met at a ball that I departed before twelve (well, have you ever tried to get a cab in Brisbane after midnight?). At one point in our courtship I even lost a shoe, when my heel got stuck in a boardwalk. Not long after the Irrigator and I moved to the farm we met Anthony and Sonia. I’ve never been to Malta, but Sonia has. We have Soni to thank for introducing us to Maltese sandwiches. She says that she and the kids from local Maltese farming community grew up eating them – they thought everybody did. They are simple and fantastic. Sometimes we sit down to have a few little slices as an accompaniment to a few post work beverages, get carried away and no one eats dinner. 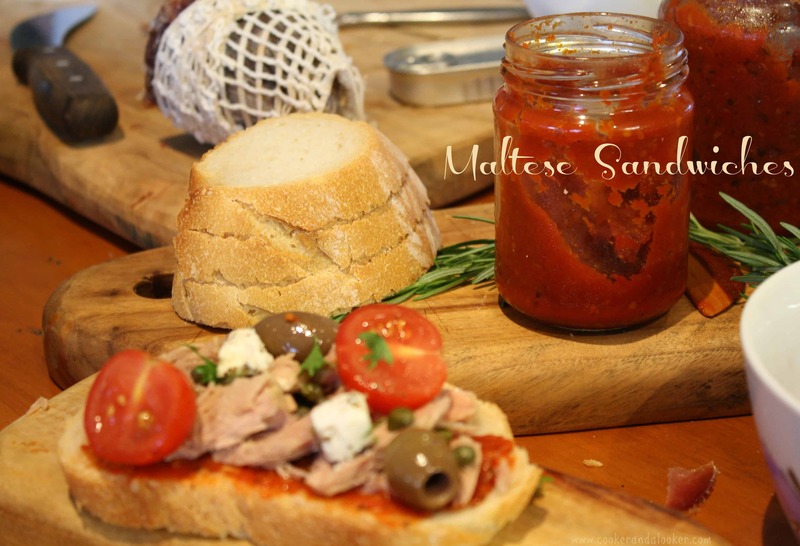 There’s no right way to make a Maltese sandwich – it’s a personal preference thing. For the uninitiated (like me) it’s also a case of experimenting until you find the perfect combo. It might take you a few goes, so come prepared with rousing stories and amusing anecdotes and cold wine. if you don’t have a secret family recipe I’d recommend a sourdough vienna loaf. anchovies – white anchovies are the bomb. Please don’t diss the fish ’til you’ve tried these babies. Spread a slice of bread with tomato paste. Drizzle over a little olive oil. Then go crazy with your combinations. coppa, chargrilled capsicum, olives, capers and fetta – it’s Mikayla’s favourite and tastes a bit like a pizza. 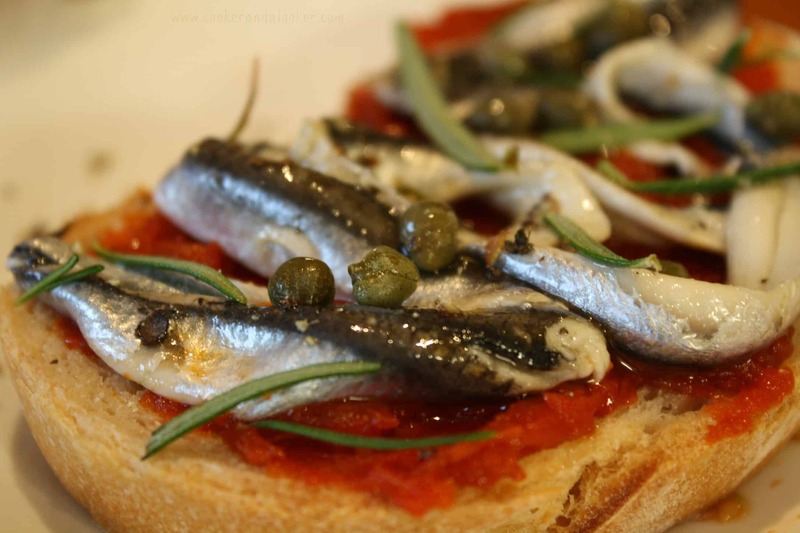 my favourite is simple – anchovies, capers, rosemary, salt and pepper – deliciousness. The best part about sharing Maltese sandwiches is putting it all in the middle of a table and making a social occasion of it. Laughter is good for the soul, olive oil is full of lipids that our bodies need to make cell walls, and tomato paste is brimming with the antioxidant lycopene. You’re better off for eating them! My Irrigator and I lived together, have children together and the tale is finished. what do you think of the Maltese take on ‘happily ever after’? do you have a fairy tale of your own? Disclosure: Bakers Delight asked me to write a recipe for the lunch ideas shared on their website. I’m not being paid to write this post. I’m doing it for the same reasons I write this blog, because I love being creative with food and I relish a challenge. Ooh, you’re a Brisbane gal, too! It looks delish, although I don’t know how I’ll go with the anchovies. I was Sarah. We now have a turf farm on the Sunshine Coast. White anchovies are an entirely different, well, err, kettle of fish. You should give them a burl! I missed it Anne, but I’ll try to see it on catchup TV. Those Latvian feeds sound like heaven. Sharing with friends around a table is my favourite thing about food! You should – I am so surprised by the Big Sister’s taste buds. She likes olives and sardines! Have you tried the white ones? They’re a different texture than the tinned ones – they’re not hairy. Reminds me of a Ploughmans Platter – yum! I’m starving! Looking at these photos isn’t helping!! Galloping off to have lunch. But I haven’t seen these sandwiches before ever and it’s cool to learn something new. And yummy. It certainly sounds more appetising than the carrot I am eating as I read this post! But no way can I eat anchovies!!! Oh I wouldn’t mind having one of those out your table. It sounds like fun. I’m not fan of anchovies but it sounds delish! Those look so YUM Amanda 🙂 We do something similar at work for morning teas often with roast chicken, avocadoes and a mix of antipasto, almost like a make your own sandwich bar. Love this! So glad I just discovered your blog! Oh wow, this sandwich has so many of my fave ingredients: feta, anchovies, prosciutto… it’s a shame this is the first I’m hearing about this, so thanks for sharing! I was totally expecting to see a little puppy in a sarni…… so need some dental floss for that. Bet this sambo made you thirsty……a bucket a wine would have done the trick. Looks simply amazing! I love the idea of putting anchovies. Love this! I come from a Maltese family and mom has requested traditional sandos as part of her birthday. This has been super helpful! Amanda, my sister is an avid reader of your blog (which is actually how i came to hear about our shared MS journey initially). Our dad, God rest his soul, was maltese and when she saw your post quickly messages me with a cryptic “your favourites” linkto this page. I seriously grew up on these! I actually as a child had strange taste buds like Big Sister and would fill the thick slices of the bread with olive oil tomato paste and capers……. Hi Julie, our friends have similar memories of taking tomato paste sandwiches to school while all the other kids were eating vegemite! I hope you’ve found a good management plan for your MS. I’m having my second round of treatment in June. While I’m not looking forward to it, it’s only three doses this year so shouldn’t be too bad!